Long-shot Green Party candidate Jill Stein has chosen her running mate: Cheri Honkala, who, Stein said, is "the nation's leading anti-poverty advocate." Honkala is so obscure that Wikipedia doesn't have a page for her (as of this writing). 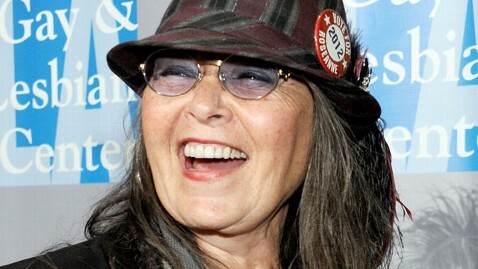 Roseanne Barr, a Green Party candidate who lost the nomination to Stein, was considered as a running mate but didn't make the cut. Third parties are a fun footnote in U.S. presidential elections; Ross Perot did well enough to get into debates, and Ralph Nader did well enough in 2000 to anger Democrats who thought he stole key votes from Al Gore. Stein's agenda is a little bit radical: She promises to create 25 million jobs, downsize the military, legalize marijuana, end unemployment and guarantee college education for everyone. Want more off-the-cuff politics? Check out OTUS on Facebook and follow us on Twitter @OTUSNews. Her new running mate is the national coordinator for the Poor People's Economic Human Rights Campaign, an advocacy group led by poor and homeless people. She ran for sheriff in Philadelphia last year. "Compelled by her own experience as a homeless, single mom, Honkala has spent nearly three decades working directly alongside the poor to build the movement to end poverty, and has organized tens of thousands of people to take action via marches, demonstrations and tent cities," Stein's campaign said in its announcement. In an Occupy Wall Street-like statement, Honkala said, "It's immoral that children are hungry and homeless in the richest country in the world. It's time for the 99% to stand united to serve our collective human needs instead of selfish, corporate greed. The Green Party is the only one standing up to Wall Street, and Jill Stein's Green New Deal is the best plan for saving this sinking ship. I'm honored to fight beside her." The Green Party's convention starts Thursday in Baltimore.